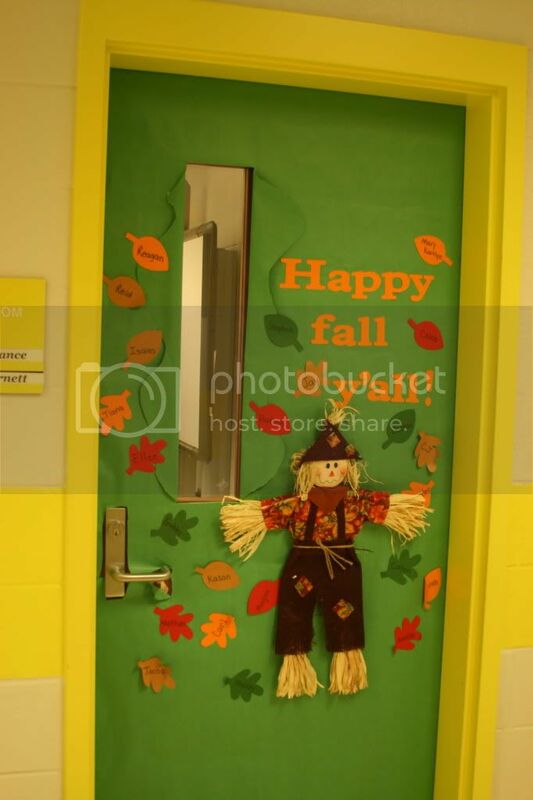 Cricut in my Classroom: Happy Fall Y'all! This is my classroom door for the months of September and October. The letters are from Plantin Schoolbook cartridge and the fall shapes are from the Doodlecharms cartridge. I used my Gypsy to "hide contour" so the leaves were just simple shapes. 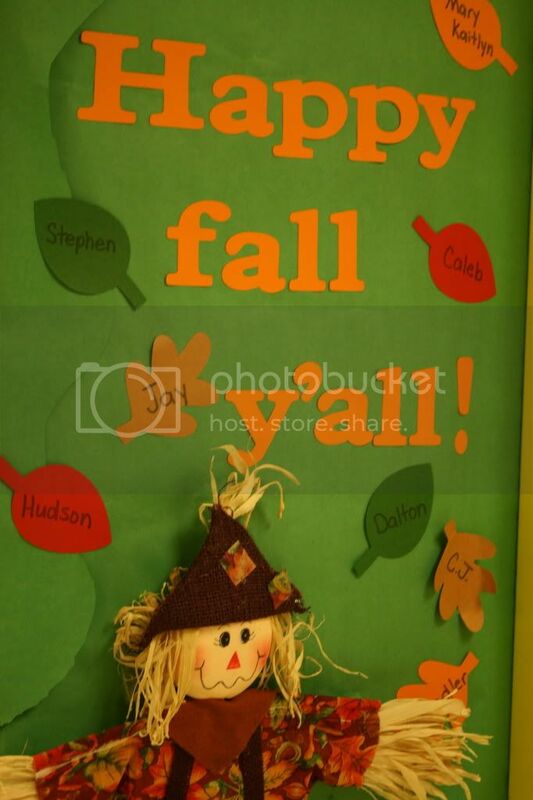 The cutie-patootie scarecrow came from the dollar store. What size did you use for the letters?